death at sea – A quirky yet practical look at the inevitable. Only a few Australians are buried at sea each year and, when they are, they’re farewelled in deep water where they’re unlikely to float into a shipping lane, wash ashore, or get caught in a fishing net. Not so in the Northern Territory. While Federal legislation demands bodies be farewelled at depth more than 3,000 metres, the Territory’s designated sea burial site is outside the Commonwealth’s jurisdiction. 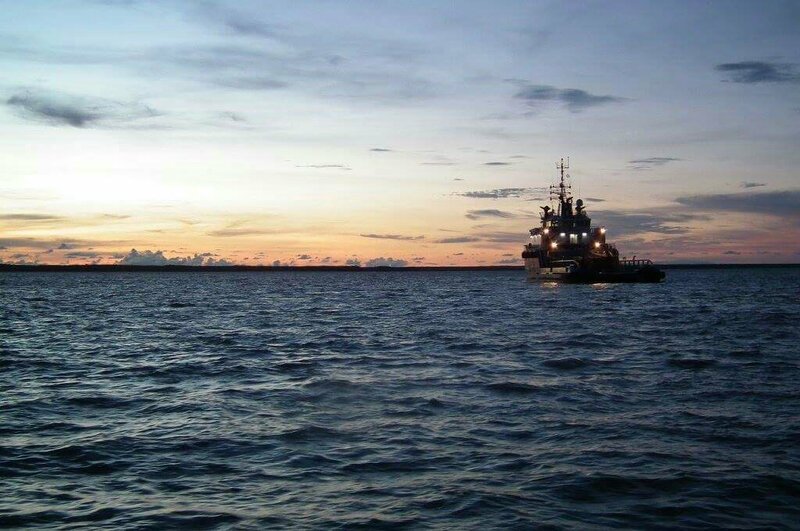 Located 30 nautical miles from Darwin in the Beagle Gulf, the water depth is only about 60 metres. The area, known as the “North Gutter”, is also well known to the Territory’s keen fishermen. (So fishos, it’s probably a good idea to avoid 12° 05’S 130° 36’E, that is 357° true 18 miles from Charles Point). “Very few” burials have been approved in the Northern Territory and it’s likely no more will be. The Cemeteries Act is due for a bit of a shake up, with a new Cemeteries Act expected to be enacted in 2018. A position paper titled Outline of a Proposed New Cemeteries Act proposes that sea burials be banned in Northern Territory waters, simply because there are no waters deep enough. Ministerial approval is needed to be buried at sea and a connection with the ocean needs to be proven. Burial at sea is a complicated affair. The NT Government has to give permission for a sea burial and, in light of the impending changes to the Act, that’s unlikely. And not everyone can be buried at sea. The person must have had a proven connection with the ocean, eg. they must have been a fisherman or a sailor etc. Just because they spent every sunset watching the sun go down over the water from the Nightcliff foreshore won’t be enough to get Ministerial approval. Despite Territorians soon not being able to be farewelled in NT waters, sea burial may still be an option though, albeit a long way from Darwin. People can still be buried in Commonwealth waters as long as they Federal Department of Environment has issued a permit under the Environment Protection (Sea Dumping) Act. So can I just push dear ol’ Grandpop off the front of the tinny in his favourite fishing spot? No. If and when you do get a permit to bury Pop at sea, you’ll need a certified commercial vessel to drop him off at the GPS co-ordinates that are very clear on the permit. While some countries reportedly allow for Pop to be in a weighted coffin with holes drilled in it, Australians are wrapped in a shroud, a heavy cotton or canvas wrap, which has weights sewn into it to make sure Pop sinks quickly and stays in the depths. A UK Government publication called the Ship Captain’s Medical Guide is a universally accepted manual for laymen (non-doctors) working on board a ship. Chapter 12 refers to the treatment of “the dying and the dead” on board a ship. It’s a fascinating read but not for the faint-hearted. It gives directions on how to conduct an autopsy and gives advice on the disposal of a body at sea if required under “exceptional circumstances”. Burial at sea is just one way to farewell Pop, and it can be tricky. To make the process easier and to help the chances of successfully getting a permit, it’s best to prepare while Pop is still alive. It’s a good idea for Pop’s wishes to be clear, either in his will or written down in a book like The Bottom Drawer Book: an after death action plan. Having a clear direction from Pop that can be shown to the Minister may help during the approvals process. When a surfer died in Western Australia last year, he had left clear directions about what he wanted. In a moving ceremony he was farewelled by his family 23 nautical miles off the coast of Albany, his shroud weighted with 100 kilograms. While sea burials are uncommon, with preparation, they can be done. One can only imagine just how special an off-shore ceremony might be. Lisa Herbert is a former NT journalist and author of The Bottom Drawer Book: an after death action plan, an informative and light-hearted workbook for those who want to prepare for the inevitable. The second edition is available in Australia for $18.95, including postage. You can buy here.